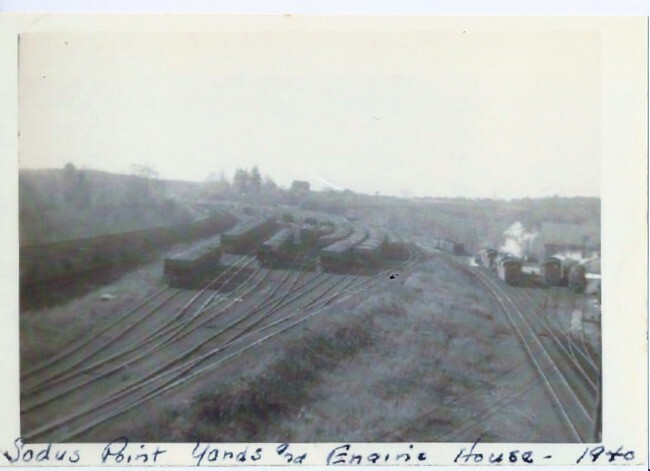 The Railroad Yard was an important part of the commerce of Sodus Point. Many times during the delivery of coal by freight trains, these trains would back up waiting to be unloaded at the coal trestle. The coal trestle could only accommodate the unloading of two trains at a time assuming there were two coal ships in port awaiting the coal. The Railroad Yard could hold a maximum of 12oo cars at one time which was approximately 10-15 freight trains. The Railroad Yard was located southeast of the Roundhouse or just south of where the Great Lakes Marine Works is today.